Before styling the waterfall braided hairstyles, make sure that your hair is not tangled but clean. You’d better smooth the hair in order to make sleek mane. When you begin to braid the hair, you can decide to start a braid in a right place. If necessary, you can use some hair pins to help secure the hair. After finishing the braided hair do, you’d better make your hair smooth again and you may spice up the hair with some hair accessories. 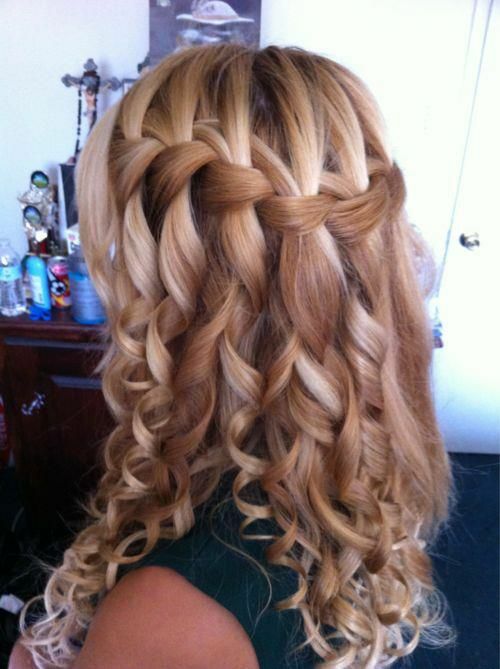 If you still don’t know how to make a perfect waterfall braided hair, you can just see the tutorials we have picked up. You can learn some hair tricks and style a new hair look by the tutorials.